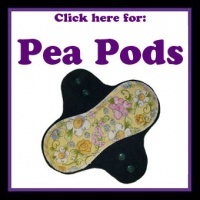 PeaPods were developed to be used as incontinence products, they are hard wearing to cope with lots of laundering. 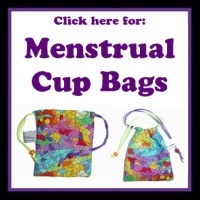 However they are also perfect for use as menstrual pads. All of the pads available in two sizes regular and extra long are made to order in three choices of absorption. The PeaPod cores which come in three thicknesses are overlocked and then sewn on to the fleece back that snaps on to your underwear. 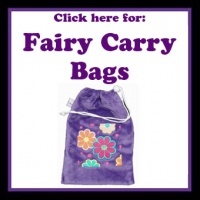 All pads are made to order unless otherwise stated. Click on the box below for more information. 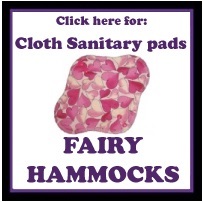 Fairy Hammocks are menstrual pads available in small (cup Fairies) regular and extra long. The regular and extra long pads are available in light flow, medium flow and heavy flow. Pads consist of a top layer that goes next to your skin a core made of your chosen fabric and a back layer made from PUL that sits against your underwear. These pads are all overlocked around the edges. All pads are made to order unless otherwise stated. For more information click the box below. - PLEASE NOTE - the wall to wall fairies no longer have three layers (6 layers of organic cotton jersey) of fabric reaching from side to side. I was having trouble getting the poppers through. The wall to wall fairies will now have two complete layers going side to side and a large core area in the center of the pad. This will not affect the absorption of the pad but will reduce the bulk of the pad in the wing area assisting the insertion of poppers. 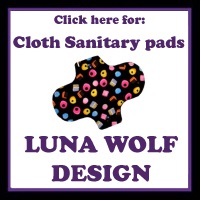 What are Luna Wolf Design Pads? Luna Moon pads are menstrual pads available in 9 lengths and three thicknesses. They contain PUL to make them waterproof but the PUL layer is enclosed within the pad. There is a top layer which sits next to your skin with a chosen fabric core available in three thicknesses sewn on to the back then a PUL layer then a back layer which sits against your underwear. These pads are turned and top sewn. All pads are made to order unless otherwise stated. Click on the box below for more information.